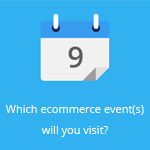 September 6, 2013 by Ecommerce News. About Logistics, Online store with tags The Netherlands. 2792 views. Wehkamp.nl wants to reduce the amount of returns of fashion items, its top-selling category. The biggest online clothing store of the Netherlands has to deal with return rates around fifty percent. It now wants to reduce this by measuring all their clothes, so customers will return less ill-fitting articles. Getting your articles returned as a retailer can mean many things. Like the customer ordered several sizes or colors and just wanted to try them all on before sending all but the good one back. But it also happens because the customers get an article that doesn’t fit. And who’s to blame? Wehkamp? Not really, says marketing manager Alexander van Slooten. The solutions also should help Wehkamp with its battle against fashion returns. When a customer orders a size 12 jacket and doesn’t return it, Wehkamp will know this customer’s size is 12. In the near future it could advise her on like-sized fashion items. And at the warehouse, workers are also doing their own measurements on the clothing to fill in the gaps in data from the manufacturer. That way when the customer orders a size 12 jacket from another brand, the Dutch online store could inform her that the arm length is a few centimeters shorter than that of the previously ordered jacket from that other brand. The end result? Less returns! “It’s quite complex because we don’t have the exact sizing of every product, but we are certainly looking at ways to advise our customers more in the proper size they need,” van Slooten says.